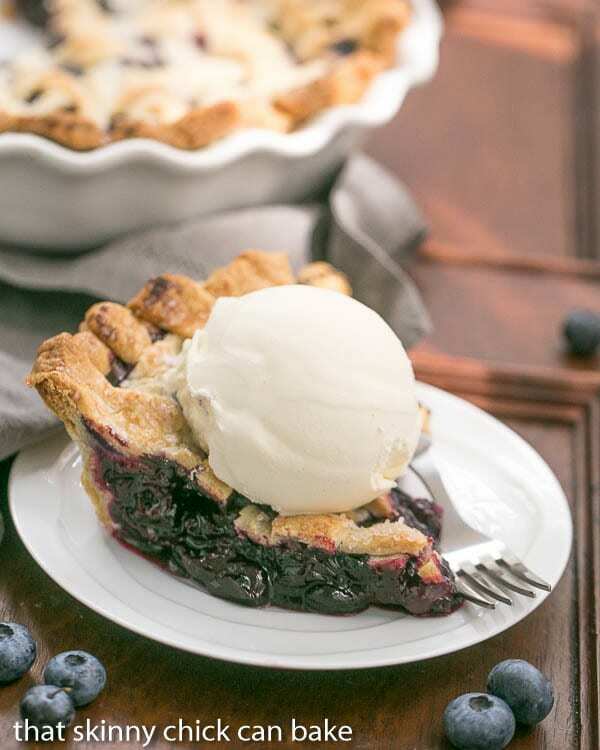 Who wouldn’t love a freshly baked Blueberry Pie in the middle of winter? A homemade pie made with fresh summer berries? 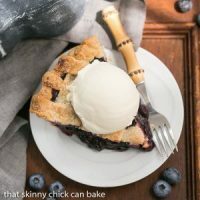 This Freeze and Bake Blueberry Pie is a winner! 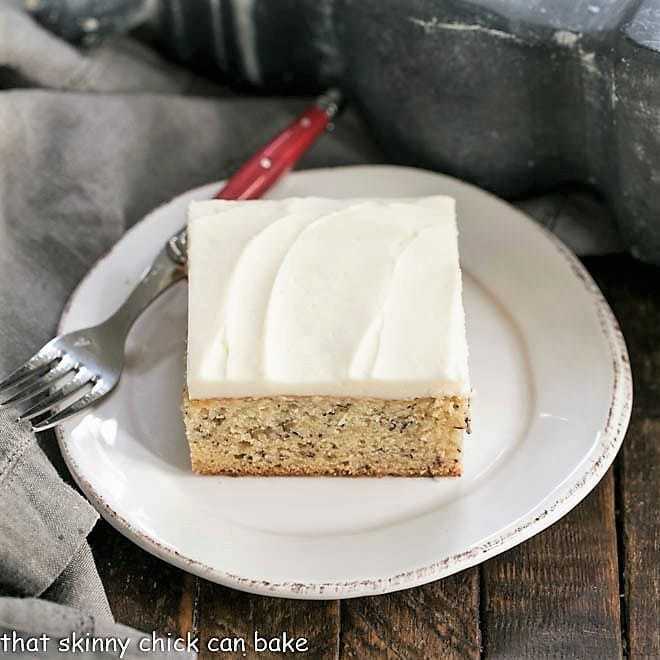 I’ve got the best tips for how to freeze now, then bake later! Come about January, I begin to long for the juicy fresh peaches and berries of summer. Not to mention a freshly made fruit pie! Did you know you can make and freeze a two crust pie, then just defrost and bake it up whenever you’d like?? Bill’s aunt used to do this years ago. She was a pie maker extraordinaire. Why shouldn’t you enjoy a freshly baked blueberry or peach pie in the middle of the winter?? It’s quite simple. Put together your pie as usual, following your favorite recipe. This works for any baked fruit pie, except those with meringue toppings. Pop your unbaked pie in the freezer, uncovered, for an hour or two until the crust is firm enough not to become misshapen when you wrap it. Then wrap it well with a layer of plastic wrap followed by a layer of foil to help prevent freezer burn. If you happen to have a stash of two-gallon ziplock freezer bags, those work great, too, as the outer layer. Fast forward to mid-winter when an arctic chill has you wearing long johns and Uggs in the house (not that I’d ever do this!). Remove the pie from the freezer and discard the wrappings. Place it on the counter while you preheat the oven. Then bake up as your recipe directs, but use your eyes and nose to ensure that it’s completely baked. 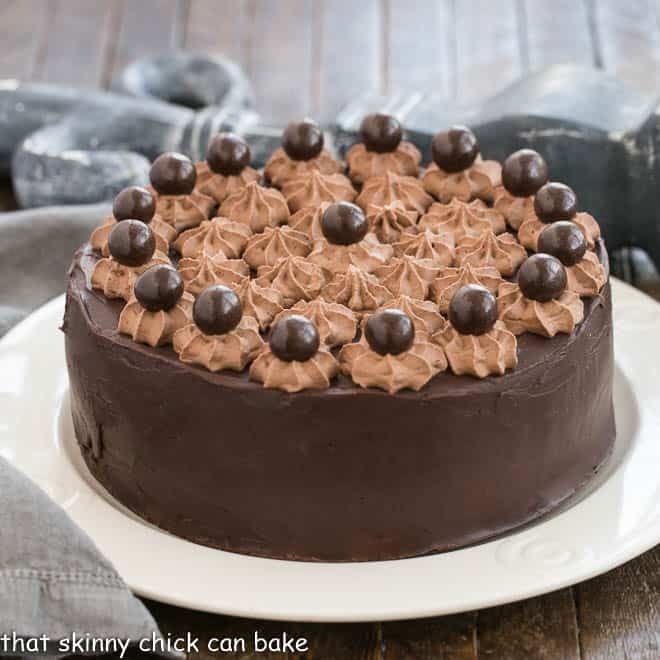 PRO-Tip: You will probably need to extend the baking time by 20 minutes or more to ensure the filling is thick and bubbly. Voila! A summer treat in the middle of winter. Note that this works for double crust fruit pies. I’ve never frozen a cream or custard pie, but maybe that could be done, too! 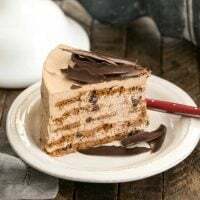 PRO-Tip: The way I figure out if a dessert can be frozen is to look for it in the frozen foods section of your grocery store! Here are a few more recipes and tricks for saving the best of summer before the season is over. Let me know what you plan to preserve from the summer! A no-fail blueberry pie filling plus a how to freeze a pie to bake later. Make your favorite double pie crust recipe. Wrap dough, and chill as directed in 2 disks. To make the filling, combine 1 cup of the blueberries with the sugar in a saucepan. Bring to a simmer, stirring occasionally, till sugar is melted, about 5 minutes. Combine the cornstarch and water in a small bowl and whisk the blueberry and sugar mixture into it. Return mixture to the pan and cook, stirring constantly, over low heat, until it boils, thickens and becomes clear. Pour into a large bowl and mix in the lemon zest, cinnamon, and butter. Mix in the rest of the blueberries. Cool. Roll out the bottom crust and place in bottom of pie plate. Trim the edges, then add the blueberry filling. Roll out top crust into a rectangle and into 8-10 strips to make the lattice topping. You can get fancy and weave the strips or just place half in one direction and top diagonally with the other half. Seal and crimp the edges as desired. Place pie, uncovered, in the freezer for 1-2 hours until the crust is firm enough to wrap. First, wrap well in plastic wrap, followed by heavy-duty foil. If you have 2-gallon zip lock bags, slide the pie into one and remove the air. On the day you plan to bake the pie, take it out of the freezer and remove the wrappings. Set the pie on the counter while you preheat the oven. Preheat to 400º. Brush the crust with cream and sprinkle with coarse sugar, if desired. Place the pie a rimmed baking sheet to catch any drips and immediately reduce the temperature to 375º. Bake for one hour and 10 minutes or longer, until the crust golden and the filling is bubbling. Cool the pie on a rack. A freshly made pie will take about 40-50 minutes to bake. If you have frozen the pie, the baking time could be quite a bit longer. You’ll need to watch for the filling in the middle to bubble. Cover the edges with foil if they brown too fast. wow that’s a FABULOUS idea! I wish my freezer had more space!! The pie looks gorgeous, Liz. This is so smart, Liz! It never occurred to me that I could freeze an unbaked pie. I’m going to start making two. One for now and one for later! This pie is absolutely gorgeous! You hit the nail on the head for me! 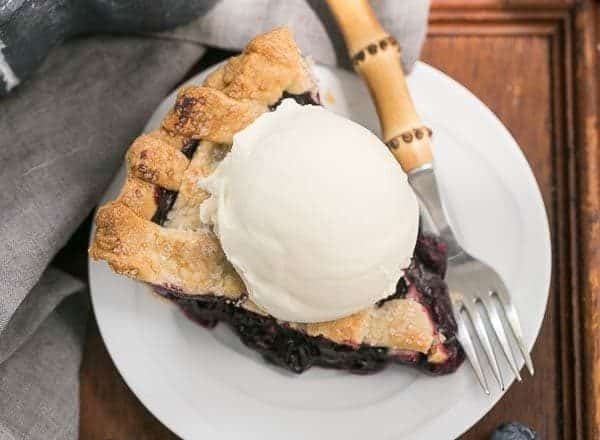 Blueberries are my favorite fruit and I remember my Nanny freezing pies like this! 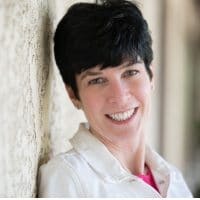 My SIL used to freeze strawberry pies, love your tips, thank you.was very released to read that you don’t wear Uggs, the most ugliest boot ever made! Now I’ll tell you about my raspberry pie making experience! Years ago when JT and I were first married, I went raspberry picking with my Mom. We picked a lot. I’d read that you shouldn’t wash raspberries because they get too wet. We picked them from a reputable farmer. So that night I made several pies and several ziplock baggies of just berries. All was going well until I noticed the tiny green spiders, ALL OVER THE BERRIES! Yup! All berries were tossed in the sink, filled with ice cold water! The pies were pretty wet that year! 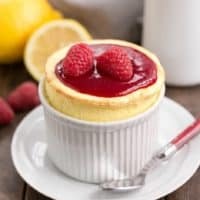 I freeze berries all the time, but never thought of making the whole pie in advance and freezing it. Genius! great ideas! your weaving is perfection mine never looks like this~!! 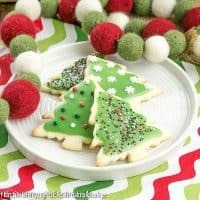 This is such a great idea and will be so good to try for the holidays this year! Thanks for sharing your tips too! Mmmmm…just look at those juicy blueberries! I have frozen a baked pie but never and unbaked one. I will have to try it. By the way, I wear Ugg slippers year round. They are the best! Your pie is truly stunning. I would love to have a piece of this warm from the oven with ice cream. This looks liek a delicious pie! I’ve never frozen a pie before but I can’t wait to try it this year! What a beautiful lattice-topped pie, Liz. Definitely a celebration of summer! I’ve never thought of doing this, even though it isn’t that out of the ordinary if I picture the freezer aisle at a grocery store. 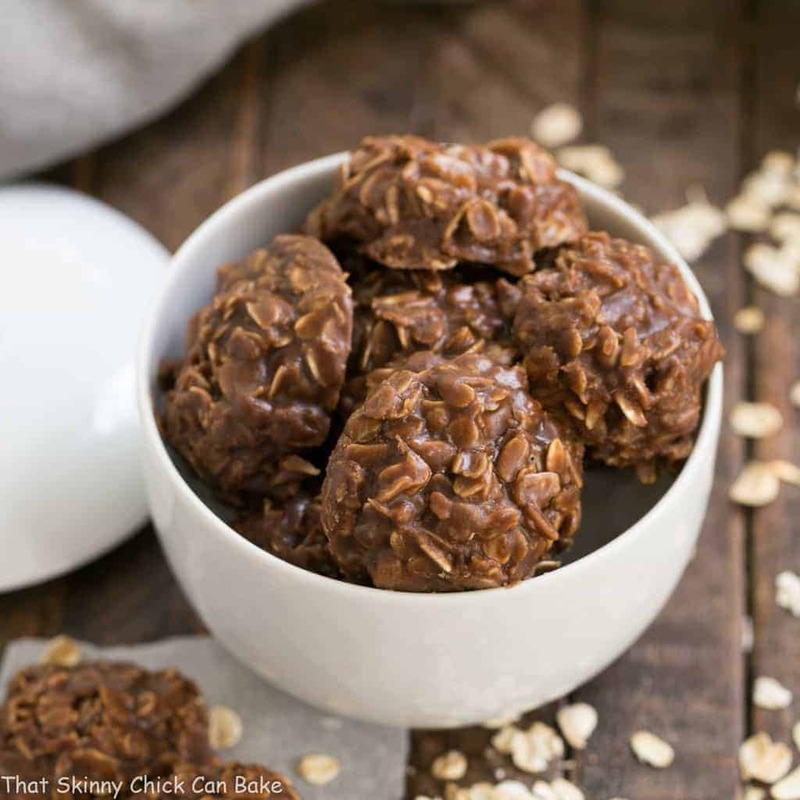 Would much prefer this delicious homemade version to some random box pie when the middle of winter hits! Oh yum…blueberries are one of my fave fruits! Dear Liz, what a beauty of a pie. 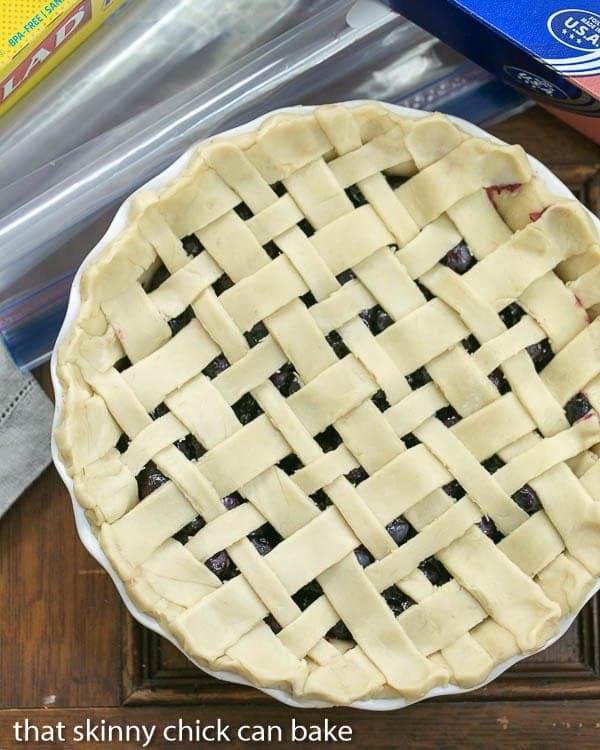 I love lattice top pies, especially blueberry and it is important to remember to freeze a few double-crust fruit pies for those dreadful winter days. Thanks for the inspiration, dear friend! SO basically you are all telling us we need bigger freezers 🙂 That is so brilliant. And bleuberry pie is the best, so summery. Hope the weather where you ar is better now. This makes me want an extra freezer to fill with things like summer fruit pies! I’d love to have this pie to bake in January. I’d love a piece right now too! What a beauty of a pie, love blueberries. Ice cream is perfect with this! Got to go a la mode with blueberry pie for sure! Just a gorgeous pie and the perfect way to save a taste of summer! Great pie tips Liz! I never thought to freeze one to bake later! Seriously, genius tips! 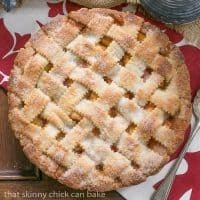 I need to make a few pies on my free days to have for the holidays! I bet my picky Mr who doesn’t like sweets would love this one! 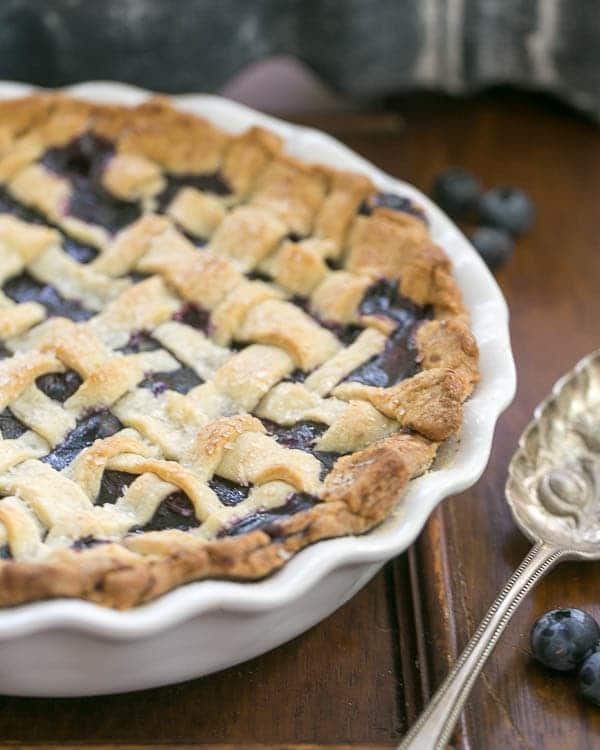 Gorgeous lattice pie and I love that it is blueberry!